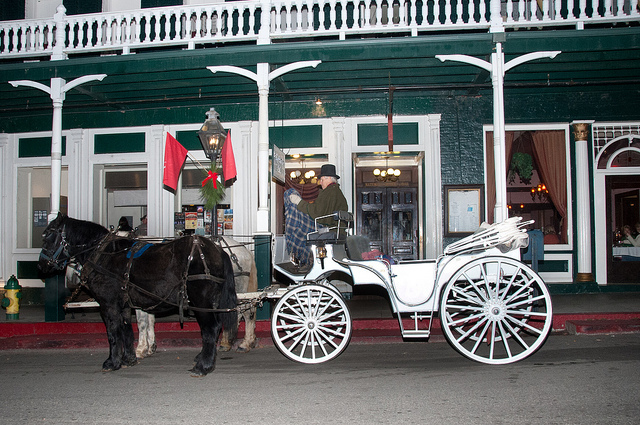 Experience the magic of Nevada City first hand at Victorian Christmas. This annual, family tradition takes place in December and features: carriage rides, savory yuletide treats, roasted chestnuts. 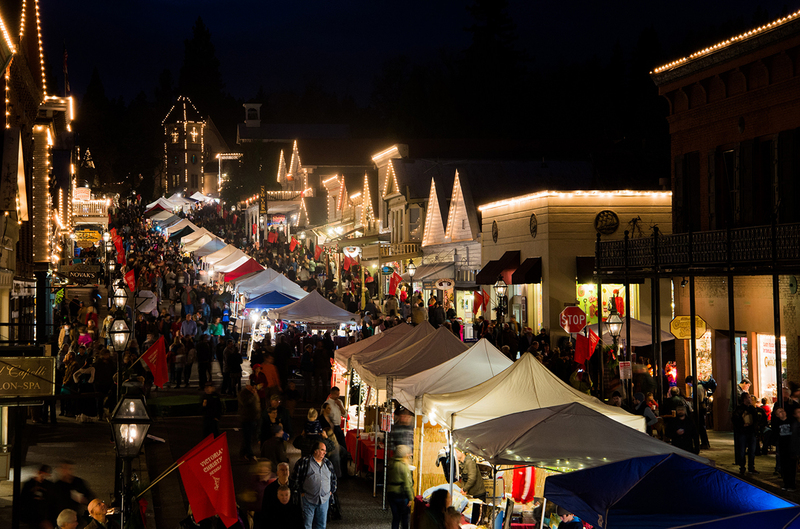 Wander the lamp-lit streets and shop for hand-crafted candy, jewelry, pottery, perfume, dolls, and handmade Christmas gifts. Victorian singers, bagpipers, brass bands and strolling minstrels provide warm Christmas music. Nevada City’s famous Walking Christmas Tree and a living nativity scene can be found, along with horse drawn carriage rides. 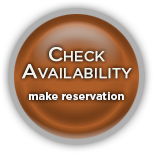 For information, contact the Nevada City Chamber of Commerce at (530) 265-2692 or visit NevadaCityChamber.com. 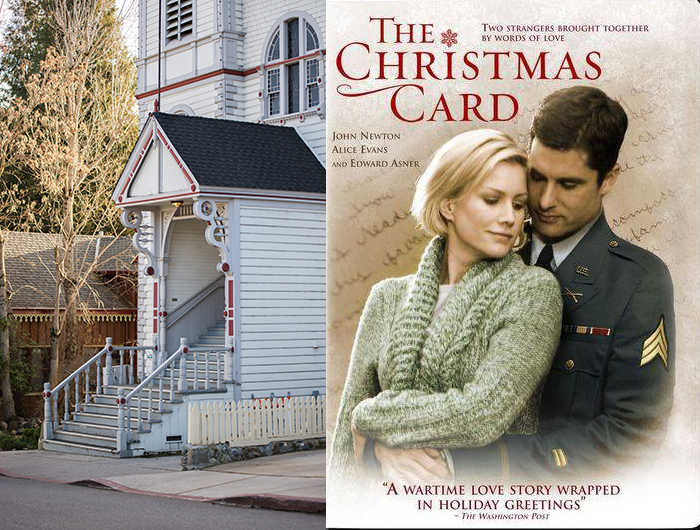 “The Christmas Card,” filmed in Nevada City, tells the story of a soldier, Cody Cullen, with no family who, while serving in Afghanistan, receives an anonymous holiday card that touches him deeply. While on leave back home, he travels to Nevada City, California, the picturesque town from which the card was sent. Once there, Cody meets and falls in love with beautiful Faith Spelman, who sent the card, and quickly becomes a cherished member of the Spelman family. Yet romance for Cody and Faith seems out of the question, because she has a boyfriend and is about to become engaged. For more information about “The Christmas Card” and to check air times, please visit Hallmark Channel’s Website. The church in the movie is Nevada City Methodist at the top of Broad Street. It is an active church and hosts an annual Christmas Craft Faire. When Cody arrives in Nevada City he checks in at the National Hotel. The National is the oldest, continually operational hotel and saloon in the west. The National Hotel is registered historical landmark listed in the National Register of Historic Places. The cafe is known as Curly Fries in the film. 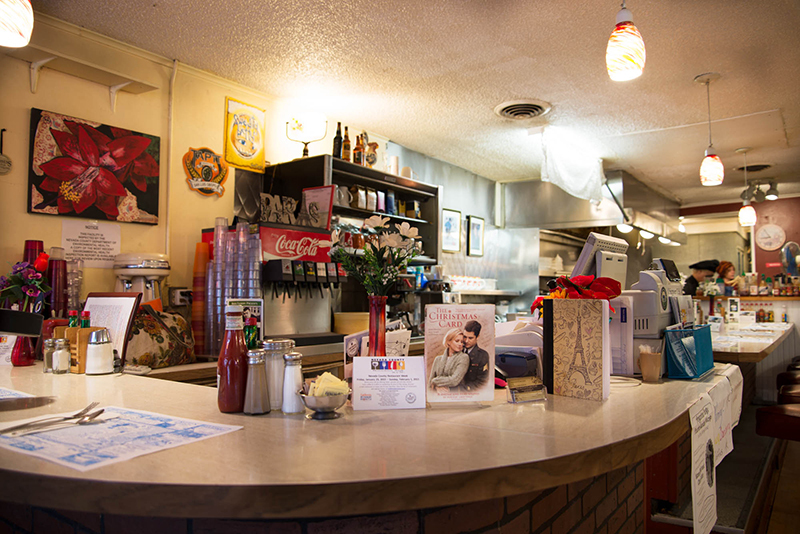 Normally, it’s Nevada City Classic Cafe. Open daily for breakfast and lunch, and a festive Friday night crepe night. 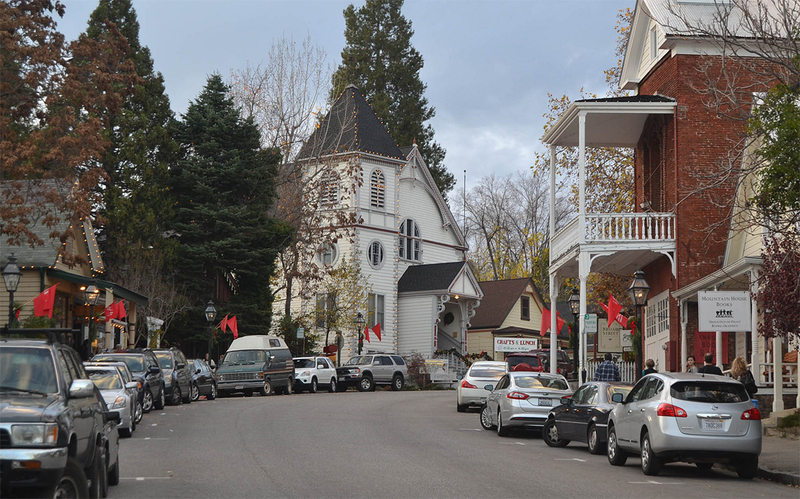 The location of the Christmas Tree lot doesn’t really exist, but you can visit the spot at the corner of Commercial & Main Street in downtown Nevada City. At the end of the movie Cody visits a Veteran’s Memorial (which doesn’t exist in real life). 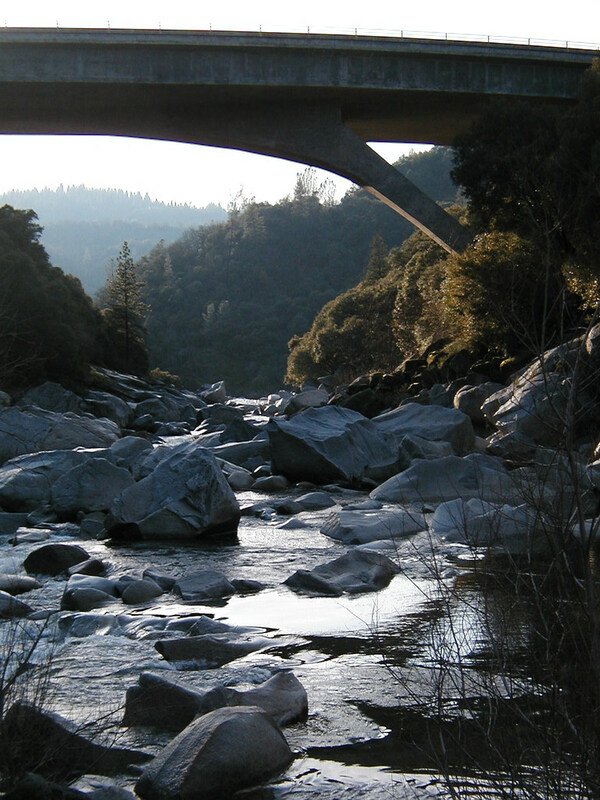 Faith finds Cody here, as he is leaving town, and the couple kisses down by the river. The lumber mill in the film is Kubich Lumber Company in Grass Valley, an active working mill. It’s located on a private road. Please contact them directly if you’re interested in visiting. LeGacy Presents is proud to present SCROOGE as their annual holiday production at the Nevada Theatre. Directed by Sue LeGate Halford, choreographed by Dinah Smith, with musical direction by Beverly Marks, SCROOGE is a must see this Christmas season! With Rodger Hoopman in the title role for his 38th year, SCROOGE makes its debut at the Nevada Theatre this holiday season opening November 25 and playing through December 24th. Performances are Friday and Saturdays at 7:30 ( with exception of December 24th, which is a 2 pm matinee ) Thursday December 8th & 22nd at 7pm, Sunday December 4th and 18th at 2pm.